Back Row: A Sully, J Abrahams, A Moore, C Curtis. B Isaacs, E Horsell, R West, W Cleall. 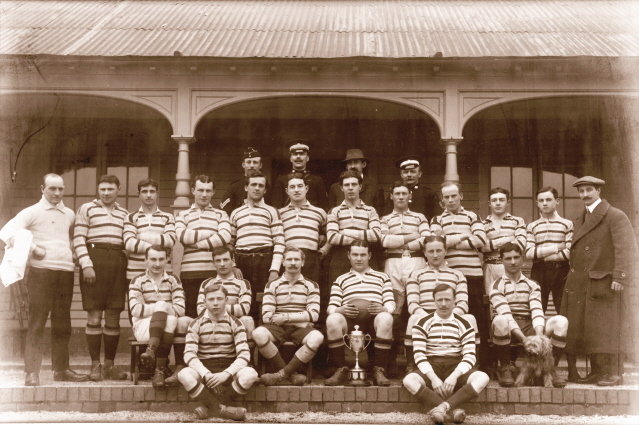 Third Row: P Hawkins, W Stevens, A Cleall, G Chivers (Capt), W Lewis, L Hatherill. Fourth Row: H Vowles, A Russell.